“I urge all corporates, boards of public entities and local authorities to uphold good financial administration and protect national assets for the good of all our people and growth of our economy,” he said. “Those found wanting will face the full wrath of the law. My Government is determined to create an environment that will see the rise of a new crop of ‘corruption free’ business leaders and institutions; which nurture the values of honesty, transparency, hard work, integrity, accountability and high professional ethics. 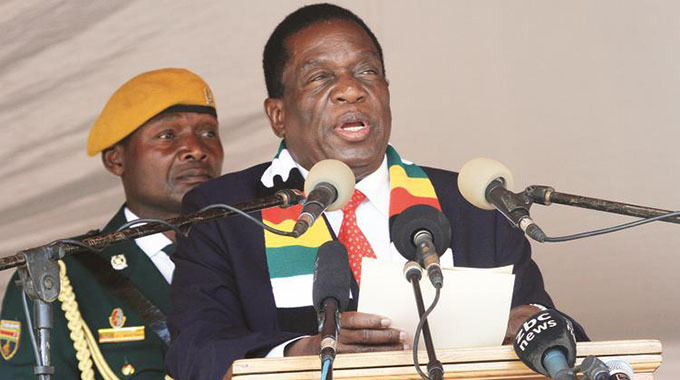 President Mnangagwa said non-performing public entities, coupled with tax payment invasion continued to be “an albatross around the neck of Government”. “I, therefore, challenge you to use platforms such as this one to collectively find feasible, sustainable and lasting strategies to stop this worrisome culture,” he said.